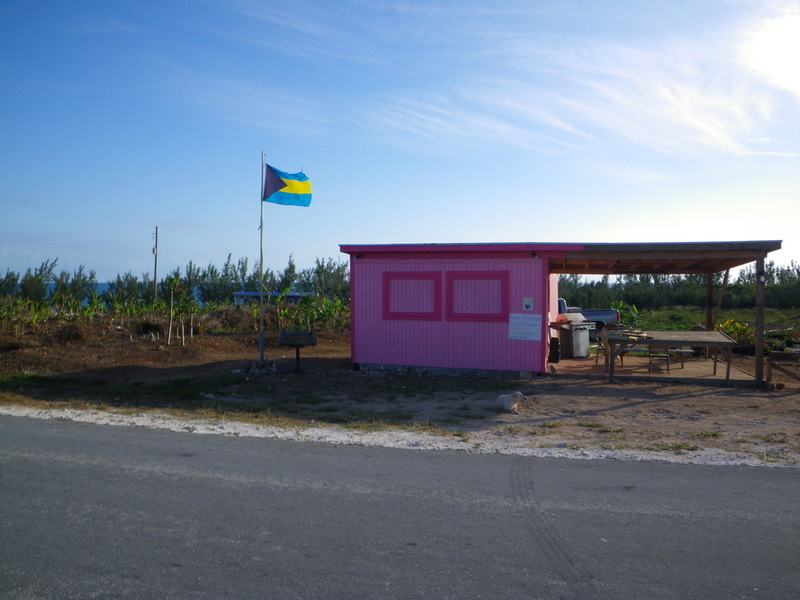 There are no big box stores or supermarkets on Eleuthera. The most of the grocery stores are small local markets similar to what you would expect to find at a small neighborhood market in the U.S. Despite your initial shock by their size they do carry most of your basic needs you just won’t find a variety of flavor or brand options like you do in the states. Their hours are very limited compared to stores in the states, so if you need groceries don't put it off till later in the day. Specialty items, exotic spices and food for specific dietary needs (gluten-free, lactose-free, etc) can be hard to find so you may want to plan on bringing any special items with you. That being said, most stores do carry soymilk and I have purchased gluten-free tortillas at the Market Place in Rock Sound. If you are visiting during the slow season you will find your options even more limited. If you spend enough time on Eleuthera you will learn to appreciate the simplicity of shopping in the Bahamas and will feel a bit overwhelmed when you return home. Many consider it a fun challenge to come up with creative meals with the limited ingredients they gather amongst the local markets, bakeries and farms. A good philosophy to have when grocery shopping in the out islands is don't expect to find everything you need in one place, you will usually need to visit more than one store, and then create your meals around what is available. Groceries are delivered once, sometimes twice a week (during holiday weeks) by boat so if your timing is off you may have to wait days before you can buy some of the most common provisions (ie. a loaf of bread or eggs). Prices are quite a bit higher than the U.S, but when you consider the effort it takes items there they are not unreasonable. Remember almost all the stores are either closed or only open for a few hours on Sundays, so you may need to arrange with your caretaker to have some staples delivered if you arrive on Saturday night or Sunday. You can also have provisions (grocery's and alcohol) delivered from the Marketplace in Rock Sound for a fee. In general you will notice that the meat is mostly frozen and definitely does not look as picture perfect as it does in the supermarkets on the mainland. In the U.S. they frequently take extra measures to make things look more appealing, this is not a common practice on in the Bahamas so do not be alarmed by items that may not look as “fresh” as what you are used to. Meat is generally frozen and can be found in chest freezers in the back of many of the grocery stores. 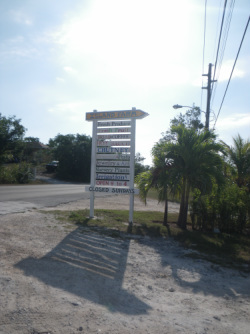 The Marketplace in Rock Sound and The North Eleuthera Shopping Center (Burchies) have the best selection and carry fresh meats along with deli meats and cheeses. The Banks Road Deli also has a great selection of deli meats, cheeses and breads. Fresh fish can be found at the docks in Tarpum Bay daily around 3 or 4pm, as long as the weather is good. Sometimes you can buy fresh fish in Governors Harbor around 2 or 3pm at the boat ramp in front of Pyfrom’s Liquor or at the docks in James Cistern around 2pm. Prices depend on how much you are purchasing and how good the catch was that day. Prices area generally similar to what you would pay in the U.S. The difference is it is incredibly fresh and absolutely delicious, plus you are supporting the local economy. Your choices are rather limited when it comes to coffee, tea and exotic spices. Most places only carry ground coffee, but whole bean is hard to come by. Last time we were there we found whole beans at Island farms in 3-4lb bags and small bags of Bahamian roasted beans at Pam’s Island Made in Gregory Town. You can find your basic spice needs, salt, pepper, garlic, cinnamon, curry, etc at most markets. Many of the rental villas are rather well stocked with spices, left by the homeowners or previous guests so you may want to see what is on hand at your rental before purchasing things like spices, sugar, flour, etc. The availability of fresh fruits and vegetables can be hit an miss in the Bahamas. It takes a long time to get things shipped to the out islands so sometimes the produce may not be as fresh as you are used to. Look for local Bahamian fruits and vegetables and buy them when you can find them. One thing to note that even very fresh produce in the Bahamas can look “blemished” but it is perfectly fine and absolutely delicious. The local produce looks more like what you would grow at home, rather than treated, polished and sorted produce you find in a supermarket. Particularly the tomatoes, you will notice that most of the time they are still partially yellow and look slightly unripe, but they are perfectly ripe and believe me they are some of the best tomatoes you will ever have. Don’t miss out on the fresh local pineapples and melons too. The local sour oranges work great for ceviche or as a replacement for limes in your gin or vodka tonic. 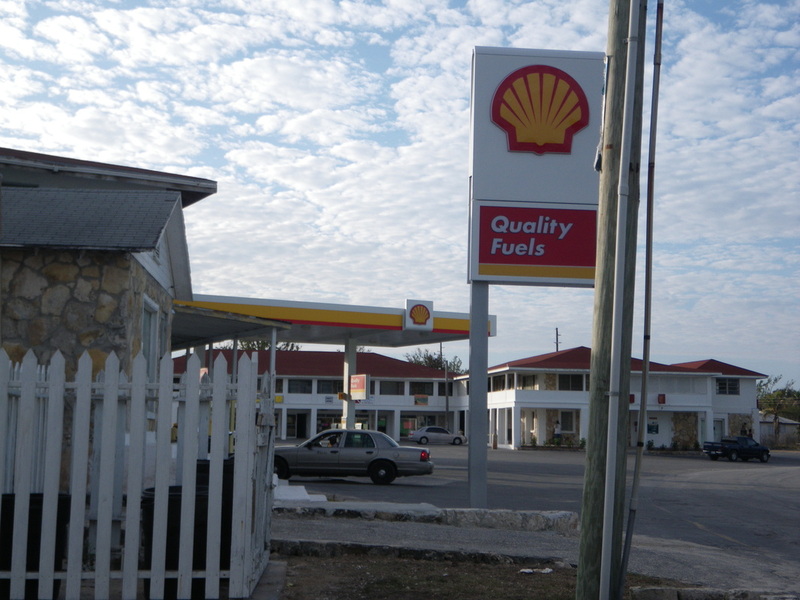 North Eleuthera Shopping Center (Burchies): 242-335-1880. Open 8am-8pm M-Th, 8am-9pm Fri-Sat, 7am-10am Sundays. 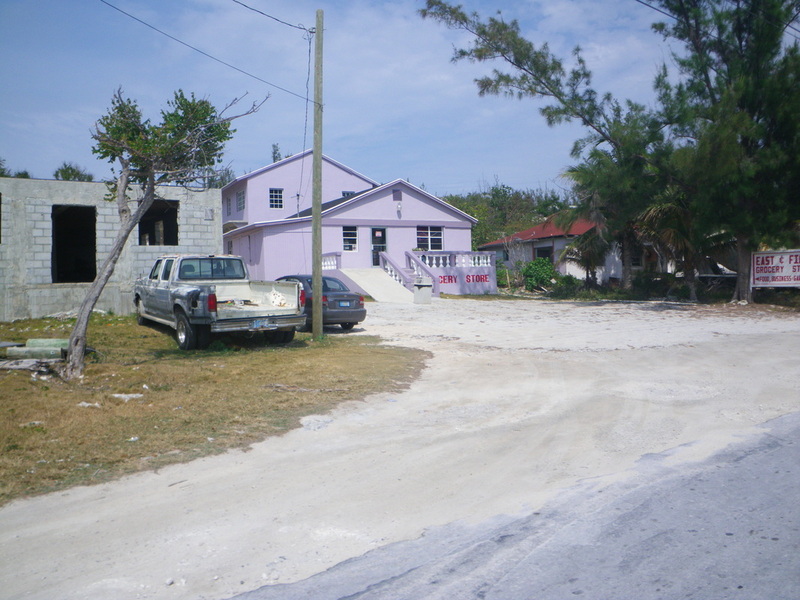 One of the largest grocery stores on Eleuthera, located just outside the Bluff Settlement. They have a good selection of deli meats, frozen food and produce. They accept special orders for items that they do not regularly carry. Accepts credit cards. Johnsons Grocery Store: 242-335-1340. Open Monday-Sunday 6am-10pm, call to make sure they're open on Sundays. The only market in Lower Bogue. They have a good selection of all your basic needs. Gregory Town 7 Eleven: 242-335-5711 and 242-225-0898. Open 6am-9pm daily (call to make sure they're open on Sundays). A market and convenience store on the North end of Gregory town. They carry groceries, meat, electronics and toiletries. Accepts Visa, MasterCard and American Express. Triple TLC: The market in Alicetown. Eleuthera Island Organics: 242-335-5708. Organic farm, south of Gregory Town and the Island Shores Community. The entrance is located between two silos. They now have their own farmers market in the old Thompson Brothers Grocery (across from Pam's island made) in Gregory Town. Open Monday, Wednesday, Friday and Saturdays from 10am-4pm, during the growing season. Hearty Mow Farms: A farm and vegetable stand between Hatchet Bay and Rainbow Bay. They have fresh fruit and vegetables, plus fresh bread 3 days a week on Monday, Wednesday and Friday. Big Rock General Store: 242-335-6008. Located just south of Rainbow Bay. They have your basic groceries and supplies. Fresh Fish at the Docks in James Cistern: Look for fishermen selling their daily catch at the docks in James Cistern, across the street from Kel-D's around 2pm most days. East and Final: Small market on the south end of James Cistern. They are generally open extend hours and they have really good prices. 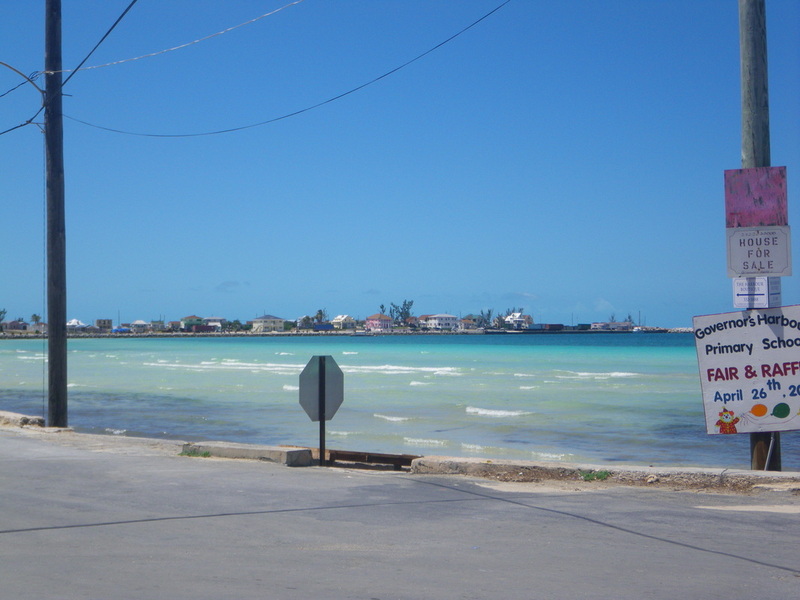 Fresh Fish: Look for fisherman selling their catch at the small boat ramp at the main Governors Harbour intersection, across the street from the yellow and blue Pyfroms liquor store building. They are generally there around 3pm (sometimes earlier sometimes later) most days. Eleuthera Supply: 242-332-2728. Open Monday through Thursday from 6am to 6pm, Friday till 6:30pm, Saturday till 7:30pm and Sunday till 3pm (they may close for a little while mid-day on Sundays). Located on the left hand side of the Queens Highway just south of Pyfrom’s liquor. Look for the shell gas station. They have a good selection of fresh produce, frozen meats, juices, and dry goods, plus sun block, cosmetics and household items. They also have ice and exchange the 5 gallon jugs of bottled water. 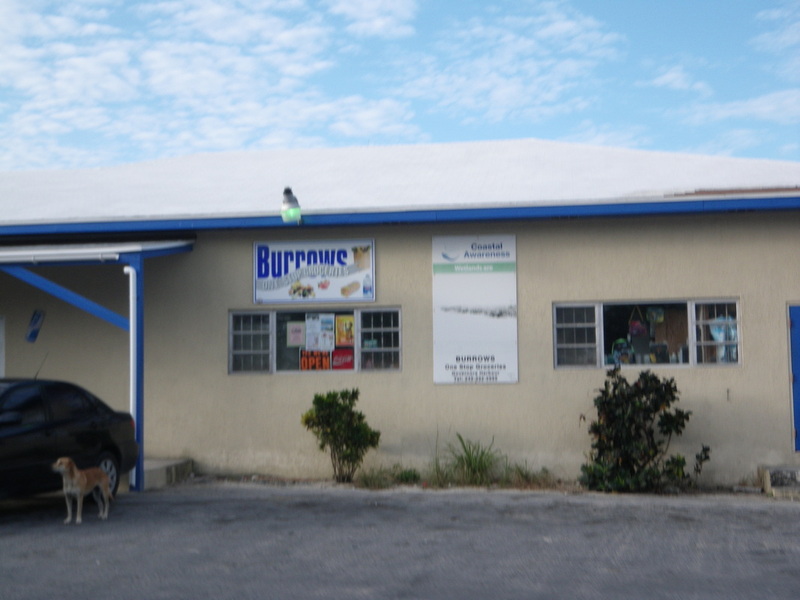 Burrows One Stop Grocery Store: 242-332-2929. Open Monday through Friday 6am to 6pm, Saturday till 7pm, and Sunday till 10am. On the queens highway 0.15 miles south of Eleuthera Supply, on the opposite side of the road. Their stock is very comparable to Eleuthera Supply, but they have a slightly better frozen meat selection including whole Abaco chickens. They also carry tortilla chips, to go with your delicious Island Farms salsa. They also sell prepaid phone cards. The Burrows liquor store is right next door. Island Grocery and Seafood: 242-332-3044 New seafood market. Located up the hill from Burrows. Banks Road Deli: 242-332-2221. Open 8am to 3pm, closed Sundays. Part of the Pineapple fields resort complex on Banks road halfway between Governors Harbour and North Palmetto (0.25mi north past Tippy’s). It is a cute little European style deli and gift shop with fresh sliced meats and cheeses, bread, wines, and a small selection of gourmet items you won’t find anywhere else on the island. Millards Variety Store: 242-332-1239. At the Palmetto Point intersections take a left towards North Palmetto Point and go about a half mile, it is on the right hand side. A great little grocery store with all your basic needs. 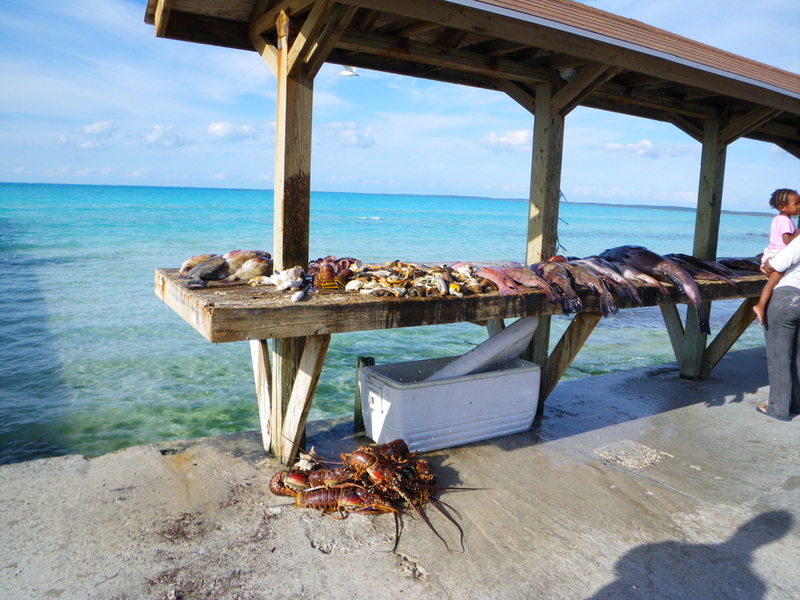 They also sometimes carry local produce and have a good frozen meat selection including whole Abaco chickens. Lakia’s: 242-332-0188. Open Monday through Saturday from 6am to 9pm and till 11am on Sunday. Take a left at Tia’s, and then another left at the corner bar it will be on the right about 150 yards down the road. They are a well stocked grocery store with a good produce selection. There is also a little take-a-way and ice cream shop next door. Accepts Visa and MasterCard. Island Farms: 242-332-0141. Open 9 to 4 Monday through Saturday. Located just over a half mile south of the Palmetto Point Crossroads, on the right side of Queens Highway. The produce selection is always different depending on the season. They have some of the best dips, marinades, and salad dressings you will find anywhere on or off the Island. They also bake a huge variety of fresh bread on Tuesdays and Fridays. It gets crowded on bread days especially right when they open, but not to worry they will keep bringing bread out as they bake it throughout the morning. They also have the best island maps. Breezy Hills Dis and Dat Fruit Mart (fruit stand in Savannah Sound): Not sure of hours but they were open almost every time we drove by. Located about three quarters of a mile north of the Savannah Sound gas station, on the right hand (Atlantic) side as you are leaving Savannah Sound. They are right by a corner so you do not see the stand till you are right on it. We have picked up all sorts of great produce and highly recommend stopping by if you have a chance . Selection depends on what is in season. Mid-Way Cost Cutters: 242-332-6066. Open Monday-Thursday 7am-7pm, Friday and Saturday 7am-9pm and Sunday 7am-12pm. New, clean well stocked grocery store. Located in the settlement of Savannah sound, a big pink building on the west side of the road as you are entering town from the North. Uncle Johns: Not sure of hours but we think it is open most days. Grocery and Liquor store, has all of your basic needs covered. Located inside the settlement of Savannah Sound, toward the southern end on the Atlantic Side. Carey’s Groceries: Open Monday-Saturday 7am to 8pm. A little grocery store on the left hand side as you enter Tarpum Bay from the North, before you get to the bay and across the street from the school. Fresh fish at the docks in Tarpum Bay: Dockside in Tarpum bay. They are usually out there every afternoon as long as the weather is not terrible. Timing is usually sometime around 2-4pm, sometimes earlier sometimes later, just keep an eye out for the boats coming in. Prices depend on how much you are buying and how good the catch was that day. In our opinion this is the best place to find fresh fish. There are more fisherman that come into Tarpum Bay to sell their catch regularly than the other docks. Bert’s for the Best Groceries: 242-334-4253. Great little grocery store on the left about a block up the hill as you are heading south out of Tarpum Bay toward Rock Sound. The Market Place: 242-334-2203. Open Monday, Tuesday and Thursday from 8am to 5pm, Wednesday till 2pm, and Friday and Saturday till 7pm. One of the largest grocery stores on the Island. On the right hand side as you enter Rock Sound (from the north). They have a great selection of fresh produce, drinks, dry goods, and fresh and frozen meats. They will deliver items from their provision list to your rental home for a fee, see their website for pricing. They accept credit cards when their machine is working.